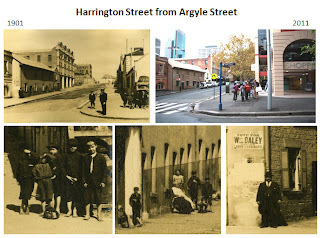 In 1998, Sydney Harbour Foreshore Authority acquired two albums of original photographs taken in 1901 by NSW Government photographer John Degotardi. 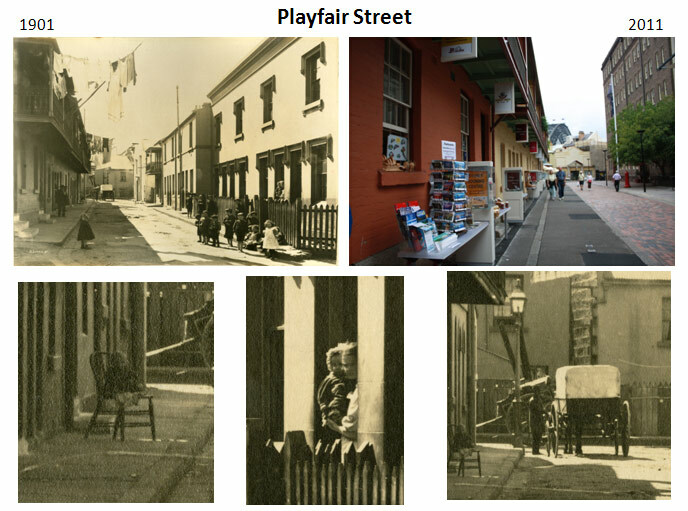 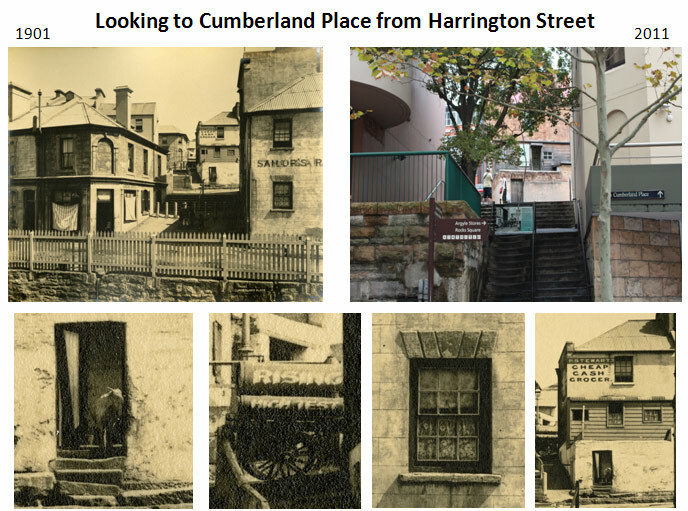 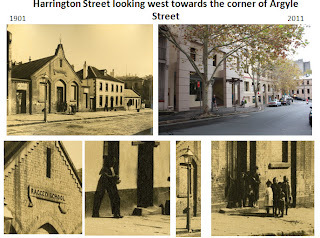 The photos documented what were considered some of the more run-down parts of Sydney, prior to their proposed demolition after the outbreak of the bubonic plague. The photos obtained by the Foreshore Authority were originally presented to Sydney historian Charles Bertie (1875–1952), then Sydney Council librarian and a prominent member of the Royal Australian Historical Society. Bertie later published a number of books on early Sydney, and pasted his own photographs of the city in the back of one of the albums up until the 1910s. 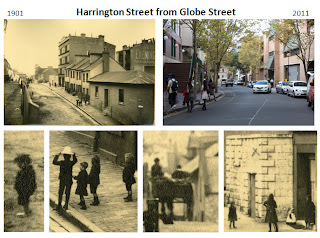 The photographs provide a wonderful insight into life in The Rocks more than one hundred years ago; a time when domestic life was not confined behind closed doors, washing was strung up to flap between buildings, animals roamed the streets, and scores of barefoot kids played on the dusty roads. 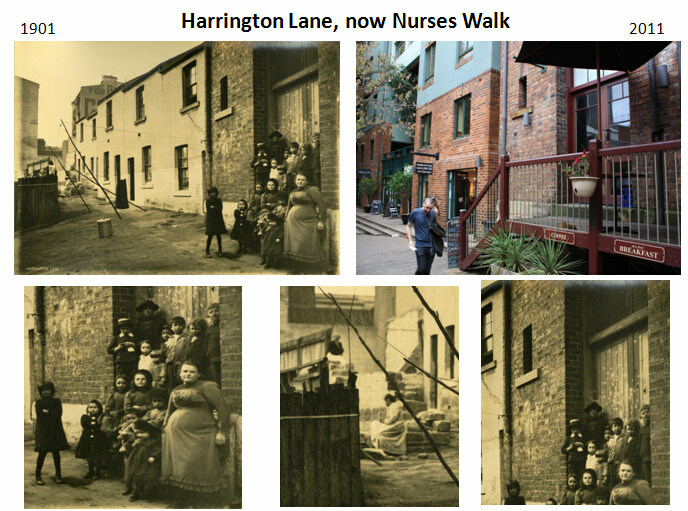 A selection of these photographs, taken of Harrington Street, Playfair Street and the former Harrington Lane, now Nurses Walk, will be featured in the Dirt on The Rocks blog this month. 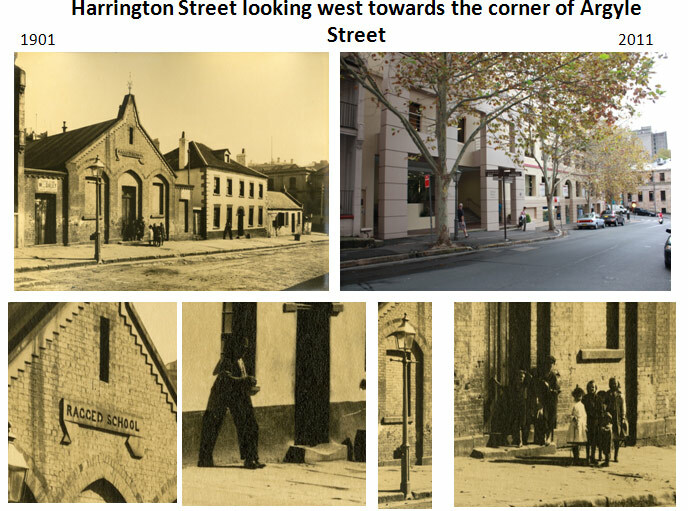 In the coming months other photographs of the streets will be included.